The Oregon Zoo is an expansive and exotic park in Portland. Easily accessible from freeways and Portland's public transit, the Zoo is adjacent to Washington Park, the Portland Japanese Garden and the International Rose Test Garden. The ease of access and extensive collection of animal exhibits make the Oregon Zoo a great attraction to incorporate into a visit to Portland. With more than 1,800 animals representing 232 species, the Oregon Zoo provides ample opportunity to visit all manner of creatures that swim, sprint and soar. Of these species, 19 are endangered and nine are threatened, demonstrating the Zoo's commitment to its conservation efforts. The park spans 64 acres, with 23 specialized exhibits, including the Zoo's botanical gardens which showcases more than 1,000 exotic plant species. Native plants line walkways, creating a naturalistic environment showcasing the rainforests of the Pacific Northwest. The Zoo also strives for improved sustainability throughout the park, including a water savings program launched in 2011 that saves 12 million gallons of water annually, solar panel electricity for the Veterinary Medical Center, a solid waste recycling program that has reduced 80% of waste, and much more. Annual attendance tops 1.5 million visitors, making it one of the most visited attractions in the city. The Exhibits of the Oregon Zoo are grouped into five major areas: Asia, Africa, Fragile Forests, the Great Northwest and the Pacific Shores. A trip to the Zoo can cover the globe as visitors move from one area to the next, learning about wildlife from many different continents. For a particularly engaging experience, behind the scenes tours teach visitors about the workings of a zoo or habits of a beloved favorite animal. The Asia Exhibit is home to a variety of animals sure to pique the interest of visitors. The Island of Pigs exhibit includes Babirusa pigs that live only on the Island of Sulawesi, making them very rare. The Oregon Zoo one of the few parks in the United States to feature these animals. The more familiar Asia Elephants also make their home in the Asia Exhibit of the Zoo, which includes one of the largest indoor elephant facilities in the world, in addition to their ample outdoor space. The Malayan Sun Bears can also be found in this part of the Zoo. These bears are nocturnal, so evening may be the best time to see them when they are just waking up. Many familiar animal faces can be found in the Predators of the Serengeti exhibit in Africa Land, including lions, cheetahs and Burmese pythons. From there, visitors may want to head to the African Savanna, for even more adored animals such as giraffes, rhinoceroses and hippopotamuses. Even the unusual naked mole rat is included in this exhibit. 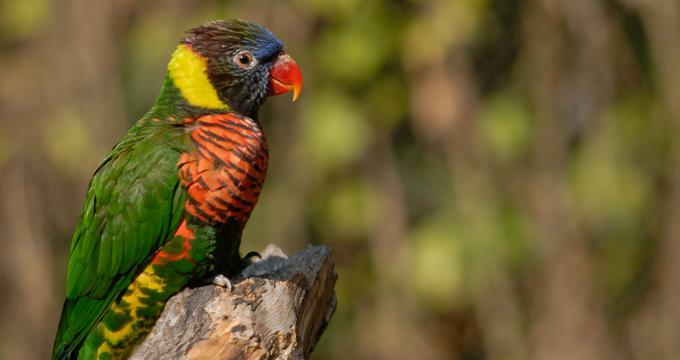 A walk through the Howard Vollum Aviary will surround visitors with the sights and sounds of brightly colored birds chippering and hopping, flapping and soaring through the enclosure. A trip to the Africa land would not be complete without a visit to the African Rainforest exhibit to see fruit bats, crocodiles, swamp monkeys and many more creatures of the rainforest and its waters. A journey to the Oregon Zoo must include a trip through the Great Northwest. This area of the Park highlights the native habitat and inhabitants of the area. A 100 foot suspension bridge in the treetops takes guests through the forest, viewing bobcats and the American black bear along the way. Eagle Canyon is also located in this area of the Zoo, showcasing the well-known bald eagle and a variety of native northwest fish. Other animals in The Great Northwest include condors and cougars, as well as Family Farm, a petting zoo and education area. The Pacific Shores area of the Zoo is home to many animals from the Pacific Rim. At Stellar Cove, harbor seals and sea otters swim, slide and float through glistening ponds and re-created tide pools of the Oregon Coast, complete with crabs, urchins, sea stars and anemones. An expansive enclosure is fitting for the Zoo's polar bear inhabitants, whose natural habitat spans a million miles of land and ice. Right next door is the Penguinarium; the Humboldt penguin and Inca Tern found in the exhibit are native to the coasts of Peru and Chile. The Tigers and Leopards enclosures can also be found in this area of the Zoo. The Red Ape Reserve, located in Fragile Forests, is home to orangutans and white cheeked gibbons. The enclosure provides an interesting and enjoyable viewing experience as the primates hang and climb overhead through a series of jungle gyms. The Amazon Flooded Forest takes visitors on an unusual visit to the Amazon, exploring the time of each year when annual rains flood the Amazonian basin. This exhibit features a variety of animals, from black howler monkeys to emerald tree boas to red-bellied piranhas and more. A trip to the Oregon Zoo is more than just entertaining, it can be educational as well. A variety of camps are available to extend the adventure, from day camps to week long experiences and family camperoos. In addition, ZooSchool programs create an engaging experience for children, who have the opportunity to interact with zoo staff, observe animals up close and participate in activities. With a variety of offerings targeting kids from first through twelfth grade, there is a zoo school for students of almost any age. Older students from grades 6-12 can even participate in Animal Training 101, learning how zookeepers work with and train the animals at the park. For those wanting a bit more in depth study, the Zoo offers student research passes to enable greater investigation of specific species. The Oregon Zoo also works with local schools to conduct Wildlife Live Assemblies, bringing the jungle to the gym with exotic animal presentations, as well as field trip opportunities. The Oregon Zoo is heavily involved in conservation and wildlife protection efforts. The Zoo earned its accreditation from the Association of Zoos and Aquariums in 1974, and was only the second zoo in the US to receive it, having maintained its accreditation for over forty years. As part of the conservation and protection network, the Zoo is active in 63 species survival plans. Species targeted by the Zoo's conservation efforts include the California condor, the Western pond turtle, the Oregon spotted frog and many more. The Zoo also supports organizations such as Polar Bears International, The Chipangali Wildlife Trust, and The International Rhino Foundation to expand their conservation efforts across the globe. In addition to these far reaching projects, the Organization also engages in in-house research efforts to expand the knowledge base of endangered species. For example, diet research for both Steller sea lions and polar bears is easier to undertake in the Zoo environment than it is in the wild. The Zoo is also home to the only Boreno elephant in the Western Hemisphere, whose study increases knowledge on this species believed to be distinct from other Asian elephants. In addition to these efforts, the Zoo has expanded its conservation to include an education program to encourage the switch to non-lead ammunition, in order to protect scavenger species from ingesting armful toxins. The Oregon Zoo also works to bring conservation to its visitors, who are encouraged to visit the Small Actions section of the organization's webpage. Here, guests can learn about simple changes and small actions they can take to help protect animals and their habitats, such as switching out lawn care products or using zero-deforestation palm oil. A trip to the Oregon Zoo is made even more enriching by periodic events and programs on offer throughout the year. Visitors are encouraged to visit the Zoo's website prior to arrival, in order to review any upcoming events, or change in hours, including twilight hours in the summertime. Concerts, special programming and animal adventures are also available, and can be reviewed via the online calendar. This includes such intriguing entertainment as Twilight Thursdays, concerts with musicians like Lyle Lovett, AnimalAwareness days, and much more. Some events do fill up prior to entry; as such, guests are recommended to register in advance via the website. Conveniently located less than three miles from the center of downtown Portland, the Oregon Zoo is easily reached from public transit and major freeways. Parking is available on site, and the Zoo is accessible to people of all abilities. Visitor policies available on the website provide rules and recommended etiquette to create a fun, safe and enjoyable day at the Zoo for all. A variety of cafes and snack carts are available throughout the park in order to satiate, satisfy and quench. The expansive gift shop provides a variety of toys, games, books, and more to take a bit of the Zoo home. An online store is also available, to pick up any additional souvenirs, once guests have returned home. Gift shop items are in keeping with the Zoo's sustainable themes, and include a variety of items that are Fair Trade Certified, utilize equitable trade practices and/or support sustainable farming. More family vacations & romantic weekend getaways: Best time to visit Bermuda, Best time to visit Colorado, Best time to visit Vancouver, Canada, Is DC a state?